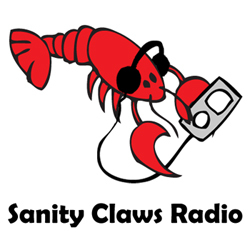 Sanity Claws Radio – September 2018 Catch Up! We play a little catch up with what we’ve been up to on this episode of Sanity Claws Radio. Lindsay, Mike, Scotty, Karen, Badger, and Jon get back to basics in this extended roundtable catch up session! Karen and Scott get deep into some board games, Mike joins back up with WoW, Badger become a Renaissance man, Lyndsay watches all of the shows, and Jon plays a ton of PS4 games. Then, we finish the show with a heated round of I Can Top That! ← Demon Lobster RP: The Return of Heroes Episode 4!